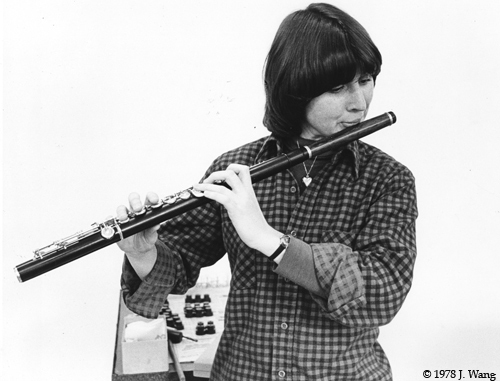 Flutist-performer Deborah Shorrock playing on an early example of our work. December 7th, 2004. 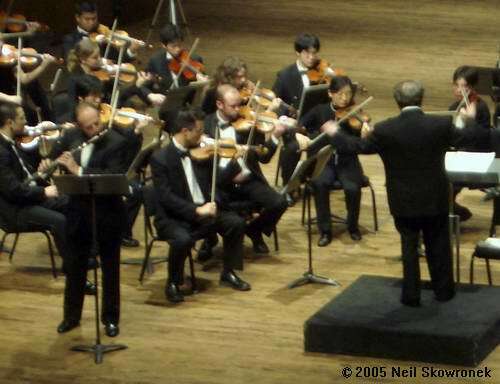 Felix Skowronek, flutist with University of Washington Symphony, Peter Eros conducting. 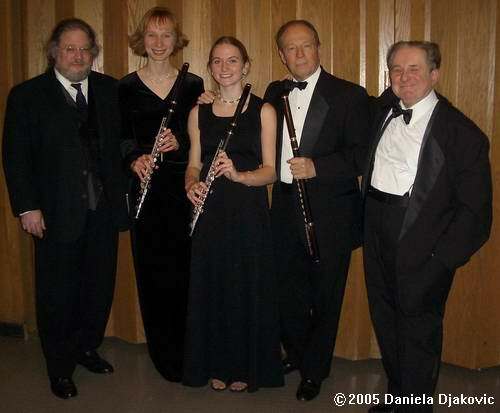 World premier of Gloria Swisher's "Concerto for Flute and Orchestra." 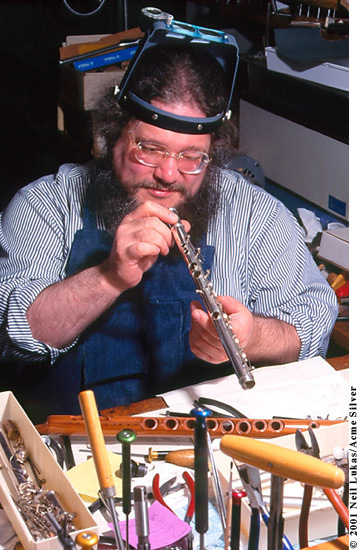 Flute: Rudall Carte thick cocuswood with thick cocuswood Eppler headjoint. Early December, 2005. 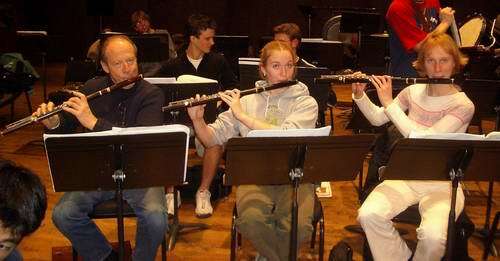 All-wood flute section of the University of Washington Symphony in rehearsal. Left to right: Felix Skowronek; Sarah Carr; Svetlana Vdovenko, principal. Two Haynes flutes and one Rudall Carte rebuilt by Eppler with new headjoints for each. Post concert reception, December 6th, 2005. 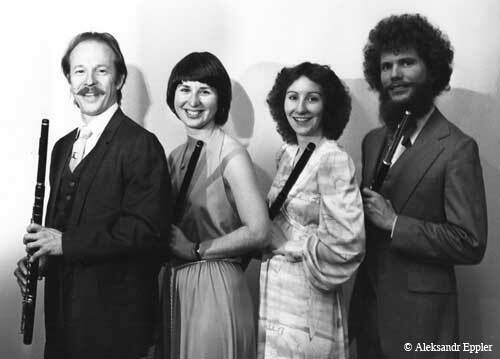 Left to right: Alexander Eppler, Svetlana Vdovenko, Sarah Carr, Felix Skowronek, and Peter Eros, conductor. 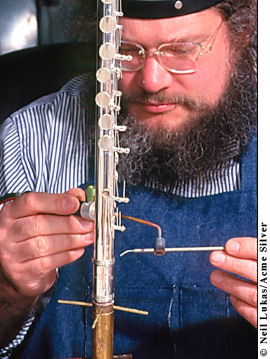 Alexander Eppler making new flutes, 2001. 3. 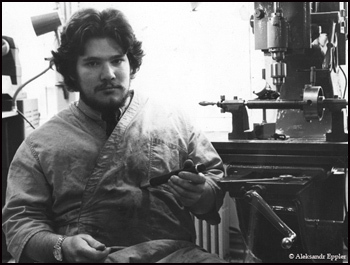 Flute restoration: "before" and "after"